Item # 316541 Stash Points: 3,195 (?) This is the number of points you get in The Zumiez Stash for purchasing this item. Stash points are redeemable for exclusive rewards only available to Zumiez Stash members. To redeem your points check out the rewards catalog on thestash.zumiez.com. 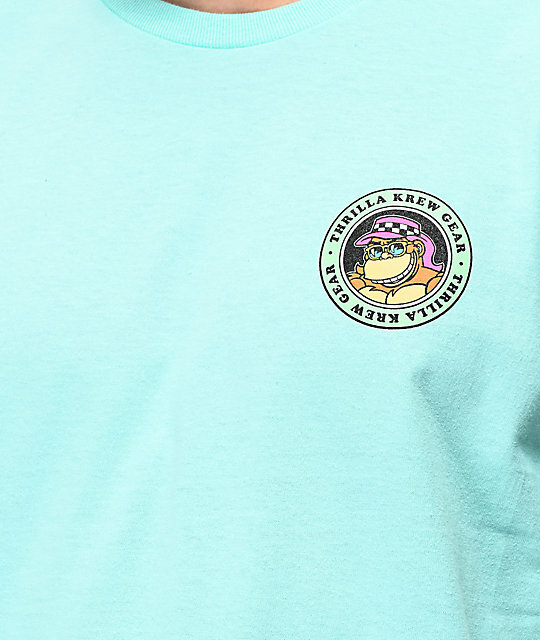 Grab a fresh new tee to complete your laidback outfits with the Thrilla Krew Surf Fade Teal T-Shirt. 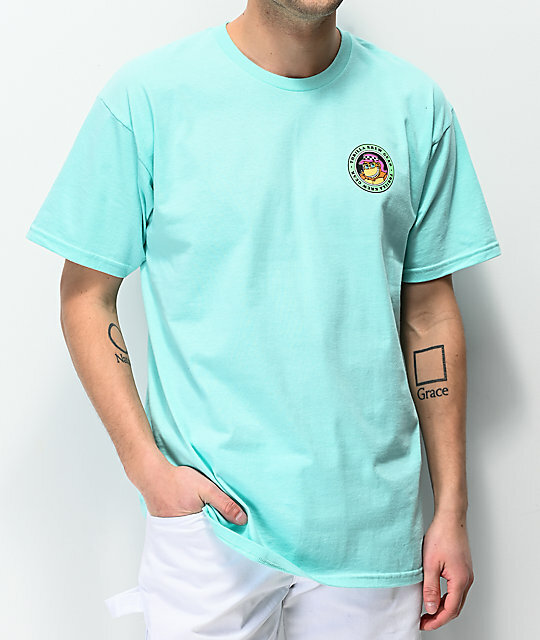 This mint green t-shirt features signature logo graphics on the left chest and back, the back displaying the brand's iconic gorilla character joyfully holding his surfboard and ready to shred! Surf Fade Teal T-Shirt from Thrilla Krew.